Crystal Bernard, Brad Stine, and Brian Dennehy, star in this wholesome, light-hearted feature that reminds us how love and acceptance go a long way in showing our faith. 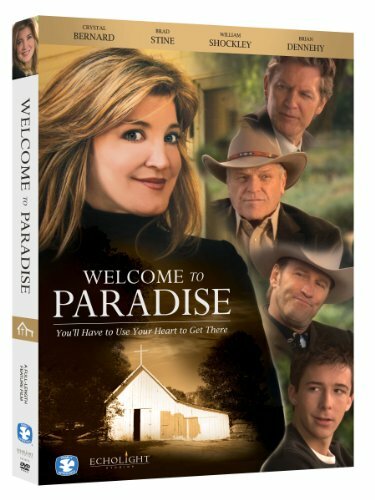 Preacher Debbie Laramie uproots her home in Dallas when she's transferred to a small church in the sleepy town of Paradise, Texas. Once there, Debbie and her teenage son brave a bumpy road as they adjust to a community in need of a guide back to God. The plucky pastor's unique approach to church life polarizes the members even more-until a catastrophic chain of events leaves them without a building at all. An old barn is their only chance to keep the church alive. With the help of her supporters-and even a few naysayers-Debbie turns a humbling challenge into an opportunity to breathe new life into the community and inspires her new church to trust in her and God's plan. If you have any questions about this product by Echolight Studios, contact us by completing and submitting the form below. If you are looking for a specif part number, please include it with your message.